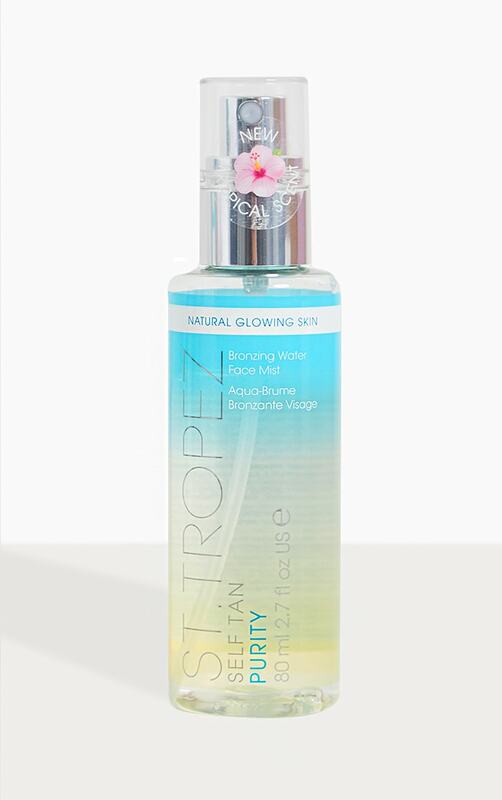 Achieve a natural looking golden tan that lasts for days, in just one application with the new tropically scented & weightless Purity Bronzing Water Face Mist. Infused with 100% natural tanning agents, this ultra-lightweight and vegan-friendly clear mist does not need to be rinsed off. Apply regularly under or over make-up, simply spritz and glow.